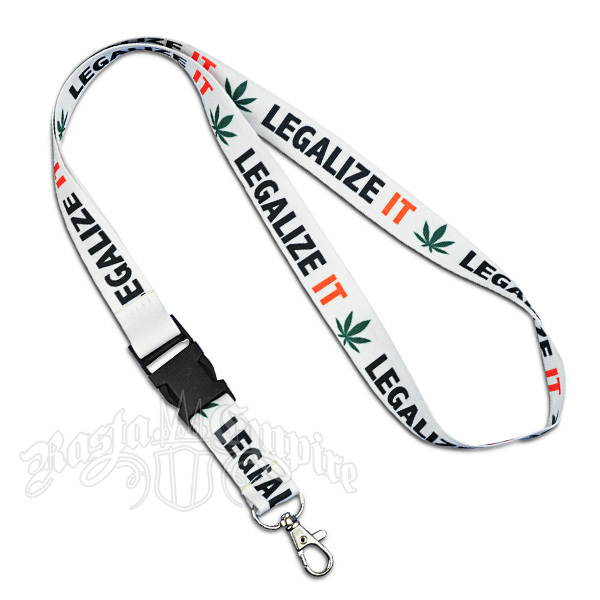 A white lanyard featuring the words LEGALIZE IT printed in black and red, with a green marijuana leaf to really clarify what “it” means. The end hook is detachable via a black clasp. Approximate length: 21", approximate width: .75".